Harvard Medical School Guide to Tai Chi . Conventional medical science on the Chinese art of Tai Chi now shows what Tai Chi masters have known for centuries: regular practice leads to more vigor and flexibility, better balance and mobility, and a sense of well-being. Cutting-edge research from Harvard Medical School also supports the long-standing claims that Tai Chi also has a beneficial impact on the health of the heart, bones, nerves and muscles, immune system, and the mind. This research provides fascinating insight into the underlying physiological mechanisms that explain how Tai Chi actually works. Besides presenting the science behind Tai Chi, this book is a great introduction to Tai Chi. An Introduction to Tai Chi. A new special health report from Harvard Medical School. Mind-body exercises, such as tai chi and yoga, have been gaining popularity over the past few decades. 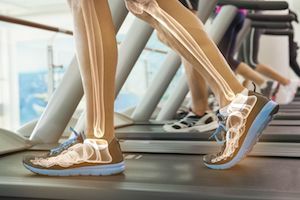 This is not surprising, given the increasing number of studies on the positive effects of these gentler forms of exercise—everything from lowering blood pressure and managing depression to building strength and improving balance. There is even evidence that tai chi may help you live a longer, more vital life. Tai chi, the winner at warding off falls - Harvard Health. Easing Ills through Tai Chi. Harvard Magazine. Researchers study the benefits of this mind-body exercise. Can Tai Chi and Qigong Postures Shape Our Mood? Toward an Embodied Cognition Framework for Mind-Body. Research. Dynamic and static body postures are a defining characteristic of mind-body practices such as Tai Chi and Qigong (TCQ). A growing body of evidence supports the hypothesis that TCQ may be beneficial for psychological health, including management and prevention of depression and anxiety. This paper defines Tai Chi and Qigong as equivalent. A sharper mind: tai chi can improve cognitive function. Harvard Medical School's Harvard Health Publications calls Tai Chi "medication in motion." The health benefits of tai chi explains how Tai Chi when combined with standard treatment is helpful for a range of conditions including arthritis, low bone density, breast cancer, heart disease, heart failure, hypertension, Parkinson's disease, sleep problems, and stroke. How meditation helps with depression. A regular practice can help your brain better manage stress and anxiety that can trigger depression. How does tai chi influence the body and mind? 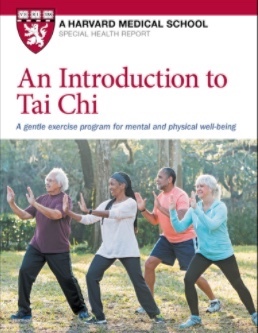 Dr. Anthony Komaroff of Harvard Medical School recently responded to a reader question about tai chi, and reflected on Peter Wayne's book (Harvard Medical School Guide to Tai Chi ) as an introduction and guide to the world of tai chi. What are the health benefits of tai chi? Dr. Anthony Komaroff, Harvard Medical School, answers the following question: "I’m getting older and need to find a new way to keep fit. I’ve heard that tai chi might be a good option. Can you tell me more about it and its health benefits?". Study suggests tai chi improves life for people with chronic health problems. Harvard Health Publications. An analysis of 33 studies indicates that Tai Chi is more effective than other forms of exercise in improving quality of life for people with chronic conditions. Harvard Medical School endorses Tai Chi for the elderly. A Harvard doctor says these are the best exercises for your body. Included are Tai Chi and Kegel exercises, a Qigong practice helping to protect against incontinence and strengthen the prostate. For over 50 years, scientists at the Institute for Aging Research, an affiliate of Harvard Medical School, have been studying what causes falls among the elderly, and how to prevent them. According to researchers, one of the most promising interventions is Tai chi, the ancient Chinese martial art, also known as “meditation in motion.” It offers senior practitioners inner peace, and improves balance, flexibility, and mental agility. It also reduces falls, the largest preventable cause of death and injury among older adults. NPR Coverage: Tai Chi Exercise for Parkinson’s Disease. Harvard Medical School Osher Center Research Director, Dr. Peter Wayne described on air, how tai chi can help improve balance and strength in older adults, and benefit individuals suffering from the disease. Test subjects taking part in an 8-week program of mindfulness meditation showed results that astonished even the most experienced neuroscientists at Harvard University. The study was led by a Harvard-affiliated team of researchers based at Massachusetts General Hospital, and the team’s MRI scans documented for the very first time in medical history how meditation produced massive changes inside the brain’s gray matter. Read Article. Read Article. Mindfulness practice leads to increases in regional brain gray matter density. Participation in MBSR is associated with changes in gray matter concentration in brain regions involved in learning and memory processes, emotion regulation, self-referential processing, and perspective taking. 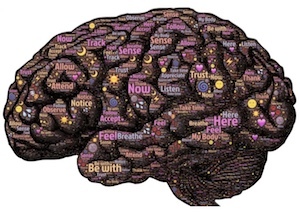 Mindfulness meditation and relaxation response affect brain differently. The Harvard Gazette: A study shows that both mindful meditation and the relaxation response provide benefits, however, the mindfulness program resulted in further improvements in measures such as self-compassion and rumination. Harvard Medical School says regular meditation is more beneficial than vacation. 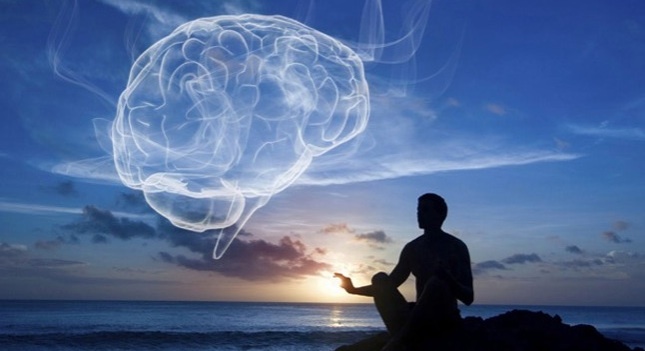 As mindfulness meditation and yoga have become mainstream and more extensively studied, growing evidence suggests multiple psychological and physical benefits of these mindfulness exercises, as well as for similar practices like tai chi and qi gong. Systematic reviews and meta-analyses analyzing hundreds of research studies suggest that mindfulness-based interventions help decrease anxiety, depression, stress, and pain, and help improve general health, mental health, and quality of life. These practices also appear to reduce inflammation and increase immune response. Harvard recommends mindfulness for treatment of a range of health conditions in adolescents. Harvard Unveils MRI Study Proving Meditation Literally Rebuilds The Brain’s Gray Matter In 8 Weeks. Mindfulness meditation may ease anxiety, mental stress. Harvard Health Blog. Systematic review finds the use of MBSR and MBCT alleviate symptoms, both mental and physical, in the treatment of cancer, cardiovascular disease, chronic pain, depression, anxiety disorders and in prevention in healthy adults and children. When researchers from Johns Hopkins University in Baltimore, MD sifted through nearly 19,000 meditation studies, they found 47 trials that addressed those issues and met their criteria for well-designed studies. Their findings, published in JAMA Internal Medicine, suggest that mindfulness meditation can help ease psychological stresses like anxiety, depression, and pain. Relax - it's good for you. Researchers at Harvard Medical School completed a comprehensive scientific study showing that deep relaxation changes our bodies on a genetic level. What they discovered is that, in long-term practitioners of relaxation methods such as yoga and meditation, far more ''disease-fighting genes'' were active, compared to those who practised no form of relaxation. The research is pivotal because it shows how a person's state of mind affects the body on a physical and genetic level. Meditation Might Reduce Stress and Enhance Health. A short video (9:48) introduction to the history of meditation and its integration into medical research and clinical practice by Anne Harrington, Professor for the History of Science in the Department of the History of Science at Harvard University. Harvard Yoga Scientists Find Proof of Meditation Benefit. Unlike earlier studies, this one is the first to focus on participants with high levels of stress. The study published in May in the medical journal PloS One showed that one session of relaxation-response practice (i.e. the meditation component of qigong or yoga) was enough to enhance the expression of genes involved in energy metabolism and insulin secretion and reduce expression of genes linked to inflammatory response and stress. There was an effect even among novices who had never practiced before. Meditation offers significant heart benefits. Meditation can be a useful part of cardiovascular risk reduction. It appears to produce changes in brain activity that can lead to less sympathetic nerve outflow from the brain to the rest of the body. It also can lower heart rate, blood pressure, breathing rate, oxygen consumption, adrenaline levels, and levels of cortisol, a hormone released in response to stress. There are many types of meditation that can result in physiological benefits, such as guided meditation, transcendental meditation, and mindfulness meditation. It takes at least 10 minutes of meditation per day to get the physiological benefits. What meditation can do for your mind, mood, and health. Meditation is an effective way to reduce stress, anxiety, pain, and depression. There are many different forms of meditation, including transcendental and mindfulness. Women are encouraged to experiment until they find the meditation form most effective for them. Harvard Medical School recommends Tai Chi for mobility. Tai Chi helps ease chronic pain. Tai Chi can benefit people with osteoarthritis, rheumatoid arthritis, fibromyalgia, tension headache, and other ongoing, painful conditions. The results of one study of a Harvard study on Tai Chi for fibromyalgia were published in the New England Journal of Medicine. Walking backwards is a classic Qigong/Daoist practice. It has also been recently re-discovered in the west as a complementary exercise providing many mind and body benefits. 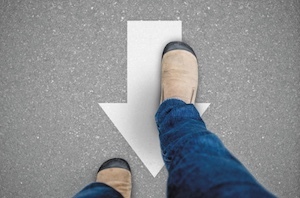 A study shows that moving in reverse may help with short-term memory. More. Relaxation Response (fundamental to Qigong) cuts health care costs. Chronic activation of this survival mechanism impairs health. The Relaxation Response is one technique to counter the stress response. Tai Chi for Health: Current State of the Research and Challenges Ahead (YouTube 1:09:50). On, April 11, 2013 researchers from across Harvard Medical School came together to share the cutting edge research that is happening relating to Tai Chi. This special edition of the Osher Center for Integrative Medicine's Research Seminar Series was held in honor of World Tai Chi day. Easing Ills through Tai Chi. Research has found that doing meditative exercises like Tai Chi can affect the brain’s structure and function. Due to your brain’s plasticity, you may be able to improve your cognitive function and offset age-related decline through exercise, stress reduction, learning new tasks, staying socially active, and learning how to focus better – all integral elements of Tai Chi training. Studies have shown that Tai Chi leads to greater improvements in cognitive function, including attention, concentration, and mental tracking, as well as balance. Recent Tai Chi studies suggest that the benefits of exercise on cognitive function are not solely due to cardiovascular fitness, but also to motor fitness, which includes balance, speed, coordination, agility and power. Harvard Health Letter. Slow, deliberate movements improve your stability and protect against falls. The slow, flowing motions of tai chi train you to shift your weight while maintaining your balance.Tai chi is an ancient Chinese exercise that can help older adults improve their balance and lower their fall risk. And by reducing their risk of falls, seniors can lower their odds of suffering a debilitating fracture. “In just 12 weeks, I’ve seen people improve their balance and stability and walk faster and farther,” says Stanwood Chang, a tai chi instructor at the Benson-Henry Institute for Mind Body Medicine, part of Harvard-affiliated Massachusetts General Hospital. Best exercises for Your Body: #2 is Tai Chi. The findings are detailed in a Harvard Medical School health report called "Starting to Exercise" which recommends some of the best exercises for your body. More.